Although teaching from an inclusive perspective can sometimes seem daunting at first, once you make a change to your teaching practice it quickly becomes second nature. Think of it as similar to passing your driving test: at first you are hyper-sensitive to everything as you are concentrating hard, but as your confidence grows you perform a great many tasks automatically. The following checklist is intended to provide you with goals to aim for in your teaching. You won’t be able to achieve all of them straight away, so begin with the ones that seem achievable (removing lots of text from Powerpoint slides is often a good place to start!). You can also download this checklist for reference. Always assume that you have disabled students on your course who have not disclosed their disability. If you follow general good practice guidelines for disabled students and for speakers of English as a second language then you will be inclusive in your teaching practice for all students. Provide unit information in advance (e.g. aims and objectives, learning outcomes, timetable of sessions). Including information about learning and teaching or assessment modes will help students understand what they are expected to be able to do and at what standard. Provide an outline of teaching sessions in advance (electronically and as hard copy) so that students have some prior knowledge about material to be used. Provide all new terminology in advance (e.g. via an online glossary). Check the accessibility and facilities of teaching rooms before using them. Provide clear instructions for any activities, indicating what you expect the students to do. Use clear language and support vocabulary development. Make sure all instructions are given both verbally and visually. Avoid making changes to day/room/time except in exceptional circumstances. If changes have to be made ensure important announcements are made in a variety of ways. Face students when you are talking and try not to cover your mouth with your hands as this makes it difficult for lip readers to understand you. Provide suitable breaks during activities. Repeat questions asked by students so that everyone can benefit from the question and answer. 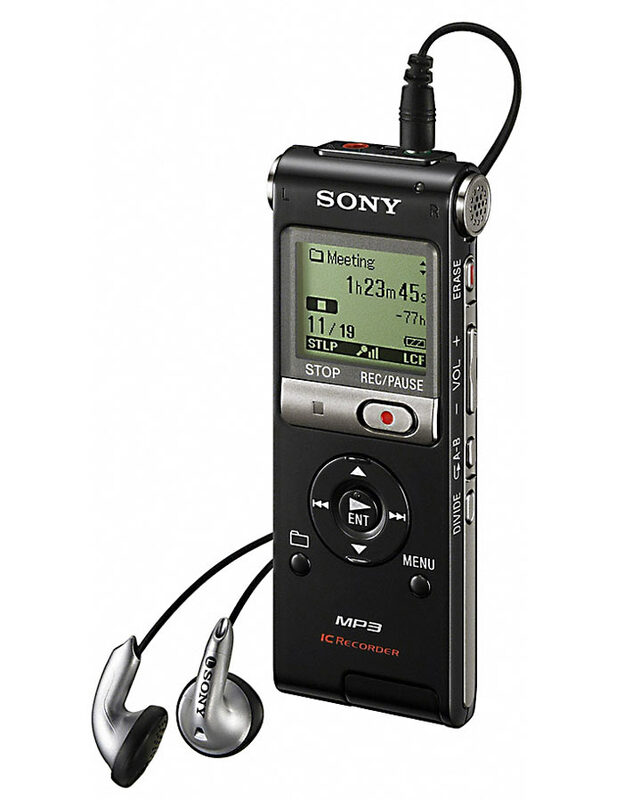 Allow students to record sessions this enables them to fill in some of the gaps in their notes/memory, or to re-listen to a point which may not have been clear at the time. Alternatively, ask a student to take notes that record the key points and make these available to all students electronically. Ensure you are aware of any known disabled students on your course; you may need to be proactive in finding out this information and should provide repeated opportunities for students to declare. Talk to disabled students about what is best for them. Seek advice from disability support staff. Use sans serif font (e.g. Arial, Tahoma) on lecture/seminar/demonstration notes (minimum 12pt) and PowerPoint presentations (minimum 24pt). Use coloured paper for printouts as it enhances contrast and thus is easier to read than white paper. 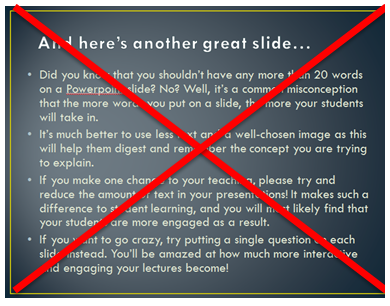 Do not crowd your PowerPoint presentations with too much text or unnecessary visual gimmicks. Break up text with visuals (e.g. graphs, images, diagrams). Explain charts and diagrams both verbally and visually. Make lecture/seminar/demonstration notes or a summary of these available in advance (electronically or as hard copy). Ensure there is sufficient time for planning practice-/work-based learning for disabled students (you may require more time for placing a disabled student, so allocation for disabled students should be prioritised). Discuss the student’s support needs with the practice- or work-based assessor/supervisor (with the permission of the disabled student). Incorporate details of adjustments or support offered to disabled students into placement agreements. Discuss options and advise on adjustments with disabled students and other group members. Adjust assessment criteria and methods where necessary. Consider a subject mentor where appropriate. Students will know most about their own disability and how to manage it. Identify “experts” within own dept/HEI for advice and don’t be afraid to ask for guidance. (Jane Wray, University of Hull). Provide discussion materials in advance so students can prepare themselves. Try to ensure that the seating arrangements allow all students to be visible to each other. Try to ensure that only one student speaks at a time and make reasonable adjustments if there are disabled students present (e.g. if there is a sight-impaired student present, it may be appropriate for everyone to say their name before making a comment). Learning to Teaching Inclusively – this three-part course developed by the University of Wolverhampton provides an opportunity to explore issues of inclusive teaching and curriculum design. You can’t beat a good question. In fact, the internet age has arguably made the ability to ask a good question more important than ever before as we are constantly ‘searching’ for information. In the following short video about questioning, Warren Berger notes that a 4-year old child can ask in excess of 300 questions per day as it tries to make sense of the world (as many parents will no doubt have experienced). And yet students entering university have often lost the ability to ask good questions as they have experienced an education system that prioritises memorisation over questioning. A key aspect of a university degree is therefore to help students rediscover the ability to ask good, informed questions. As they move from undergraduate to postgraduate, and potentially on to doctoral study, developing questions becomes even more important. But at the very least, by the time students finish their degree they need to have developed the ability to ask critical, informed questions about the world. As Warren Berger notes in the video, we have greater access to knowledge than at any time in human history – what we need are great questions to enable us to know what to do with all this information. As educators, it is therefore vital that our teaching involves asking questions. If students can access the knowledge of the world on the internet, a lecture or a workshop should avoid simply ‘telling’ students information. Rather, it should encourage students to critically reflect on their views about the world and challenge them to formulate and articulate their own responses to the topic in question. What follows is a summary of different questioning strategies that you can use with your students. Closed questions request a specific answer. An example of a closed question requiring just a brief answer is, ‘What is the capital city of Bolivia?’. In contrast, open questions invite an open-ended or convergent answer. They open up an area of discussion and invite the respondent to go deeper into his or her world in order to bring forth an answer. An example of an open question is, ‘What is your philosophy of teaching?’. This continuum extends from recall of simple facts to speculative questions which require evaluative answers. A recall question can be closed, such as, ‘When was your course last revalidated?’ or open, such as, ‘How did you approach revalidation last time?’ Thought questions are higher order questions that should provoke greater levels of understanding and are more difficult to make up on the spot. Thought questions might begin with phrases such as, ‘Is there a better solution to …?’, ‘Do you think … is a good or a bad thing?’ or ‘How would you feel if …?’. Pitch relates to the open-closed and recall-thought continuums and refers to levels of questioning. You might choose to change the pitch of your questioning by, for example, beginning with a series of recall questions to find out about a context, and progressing to more challenging thought questions to probe deeper. Alternatively, you might begin with some broad thought questions and move towards more specific questions which help your reviewee to identify the specific problem s/he wishes to address. Pauses are necessary after posing questions that demand thought, and might also be necessary before you ask a question to indicate a change in level of thought or type of question. Make sure that you allow time for thoughtful responses. Sequencing questions so that the discussion progresses requires the listener to respond to answers. A useful technique for making sure that you respond sensitively can be to repeat back or to ‘mirror’ an answer to check for shared understanding and, possibly, to encourage clarification or elaboration. Another technique for making sure you respond effectively is to ensure that you listen actively. Identified types of listening which could be useful to peer-supported review are surveying listening and study listening. In surveying listening, the listener tries to build up a mental map of what is being said to capture key points or main steps in an argument or description. It might be useful to reflect these points back to your reviewee to consolidate what has been said and to focus the next stage of a discussion. Study listening goes beyond the information being given to seek out hidden meanings and the speaker’s patterns of thinking and requires you to make hypotheses about underlying meanings, which is a subtle skill. A type of listening to be wary of is ‘selective’ listening where you only attend to information which corresponds to your way of thinking. You might also find that you become confused as a listener if there is a mismatch between the verbal language and body language of the person you are listening to.